Check the latest LAZZATI Boring Mill Video. See our machines in action @final customer! LAZZATI manufactures high-tech machine tools with a wide range of applications in general machining, automotive, aerospace, energy and earth-moving sectors. The wide range of LAZZATI boring machines and milling machines is able to meet the needs of various working processes and applications. The LAZZATI products, thanks to the availability of numerous models and accessories, are designed to perfect innovative technological solutions in order to achieve maximum accuracy, productivity, efficiency and flexibility in a variety of industries and applications. The long years of continuous activity have naturally permitted LAZZATI to achieve the maturity and the reputation to be present as a strong brand on the major international markets. LAZZATI production is specialized in boring-mills machines with moving column, highly qualified and technologically advanced. 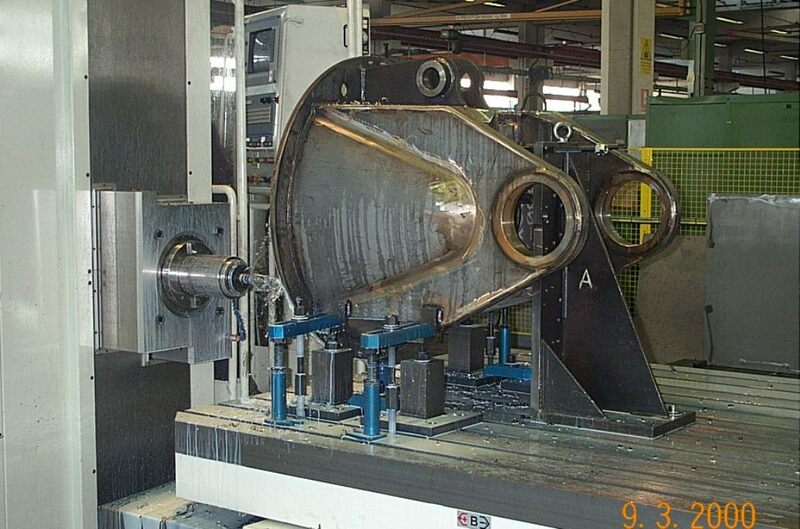 Thanks to the absolute rigidity and quality of its machines and the ability to ensure constant accuracy over the years LAZZATI boring machines and boring mills are able to significantly increase productivity by providing machines with high accuracy and repeatability for machining of most of the components in different applications in which they are used.